How Much Vacation Should a Pastor Receive? Without any hesitation or doubt, I believe that pastors should be given a generous amount of paid vacation or personal leave time. While in seminary, I worked in the credit card and, later, mortgage departments of an international bank. Within three months of my employment, I was already receiving 18 days of paid time off (PTO) every calendar year (not including holidays). This wasn’t because I was special in any way. It was just their standard policy for all employees. That was three-and-a-half weeks of paid vacation! By the time I left, I was entitled to 23 days of PTO – nearly five weeks! Now, think about that from this perspective: that was for a job that never once called me in the middle of the night because of an emergency; that never once had me in tears over someone’s pain or sinful choices; that never once asked me to stand at the bedside of a dear friend to watch him take his last breath; and that never once was going to require me to answer for the souls of the people we served. If there was ever an employee in the history of the world that should be given generous time off, it has to be a pastor. As an additional thought on this, consider the fact that pastoring is not a normal “40 hour/week” kind of job. In a very real sense, it never ends. There are no days off from loving your people and being concerned about them. There is no vacation from one’s responsibility to care for their souls. Again, if there was ever a “job” that should be provided with as much PTO as possible, it has to be the job of a pastor. So, be generous with the paid vacation time you provide for your pastoral staff. You have no idea how much they need it. 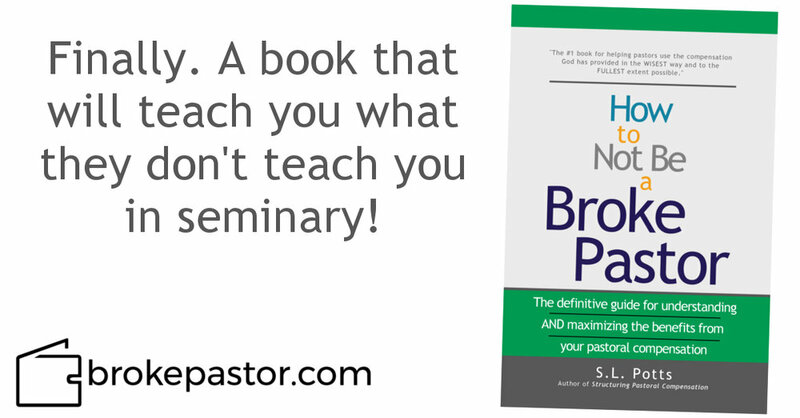 To read more about benefits pastors should receive, pick up a copy of my book, How to Not Be a Broke Pastor! Over the years, there have been a few books that have had a lasting and real impact on my heart. Out of all of those, none have had a larger impact that A.W. Tozer's The Pursuit of God. "In this hour of all-but-universal darkness one cheering gleam appears: within the fold of conservative Christianity there are to be found increasing numbers of persons whose religious lives are marked by a growing hunger after God Himself. They are eager for spiritual realities and will not be put off with words, nor will they be content with correct 'interpretations' of truth. They are athirst for God, and they will not be satisfied till they have drunk deep at the Fountain of Living Water. This book is a modest attempt to aid God's hungry children so to find Him. Nothing here is new except in the sense that it is a discovery which my own heart has made of spiritual realities most delightful and wonderful to me. Others before me have gone much farther into these holy mysteries than I have done, but if my fire is not large it is yet real, and there may be those who can light their candle at its flame." I can say that, in seasons of spiritual coldness, my fire has been rekindled by reading Tozer's masterful work. As you begin 2018, let me recommend that you do so by stopping to consider the glory of pursuing God with all your heart this year. I guarantee you will benefit from it. 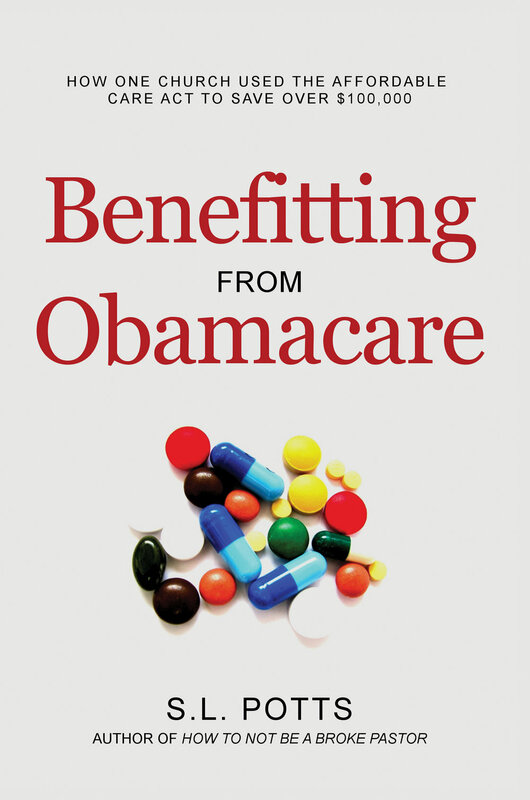 Download a free PDF copy of Benefitting from Obamacare and learn how one church saved over $100,000 by using the provisions of the Affordable Care Act to their advantage! Thank you! Click here to download your free copy. Here's another great article from Thom Rainer. Pay careful attention to #3! Pastors are so good at so many difficult things - preaching/teaching, counseling, discipling, caring - but can very often be completely clueless when it comes to handling their money wisely. This can be true of their day-to-day finances, but is often more true in regards to their retirement planning. 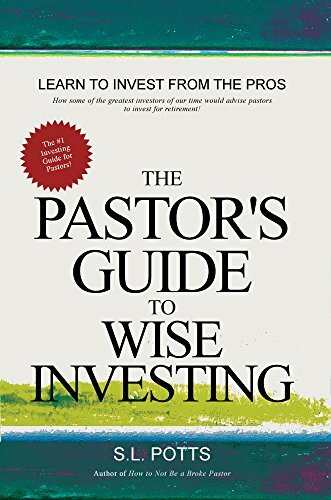 The Pastor's Guide to Wise Investing takes the, often, confusing world of investing and makes it simple and easy to understand by compiling and condensing the best advice from the best investors of our day into one simple, easy-to-read guide. Here's a great blog post from Tim Challies about learning to be rich (which, SPOILER ALERT, we all truly are). I highly recommend it. Over the years, I have received numerous gifts from our church. Some were for Christmas, others were for anniversaries, and others were just because they loved us. In fact, I just celebrated my 10th anniversary as the lead pastor of our church. They were very kind to us, and surprised us with a party. Many people brought cards and notes thanking us for our ten years of service. It was touching, and we were so honored. It has been my observation over the years that most churches love their pastors. While they may not yet have every component discussed in this book as a part of their pastor’s total compensation package, they do genuinely want to care and provide for their pastor in practical and monetary ways. One of the most common ways this is done by many churches is through the giving of bonuses or gifts to pastors either on special occasions (i.e. an anniversary) or around holidays (i.e. Christmas). While this can be a great way to love and care for your pastor, a few things need to be said about bonuses and gifts. Before giving a bonus or gift to your pastor, you must first determine where these funds will come from. You have two likely options. One option is to simply give the bonus or gift directly out of the church’s general fund. No special collection of funds would be taken for this. This is the simplest, and as you will see in a moment, best method for such gifts. Unfortunately, the more common method for coming up with the funds for these kinds of gifts is by the church taking up a special collection or “love offering” specifically for the gift. People just write a check to the church and designate it towards the gift. What could be easier? Maybe . . . money laundering? I say that, mostly, to get your attention, but understand that this is practically (and inadvertently) what ends up happening in many churches. Any gift given to a church that is specifically designated as being for the personal enrichment of any individual is generally NOT considered a tax-deductible or charitable contribution. Many people and many churches do not know this . . . which causes the transaction to become, in effect, an example of religious “money laundering." I’m being a bit facetious, but I hope you get my point. If a church really wants to take a collection for its pastor, it should first notify the congregation that all funds given will not be tax-deductible and will not appear on their annual giving statements at the end of the year. For this reason, I believe that the best method for giving bonuses or gifts is simply to do so out of the church’s general fund. However, regardless of which method above is used, any bonus or gift given to an employee of the church must usually be reported as taxable income for the year. For example, Pastor Bob has a total income of $50,000 of which he designates $25,000 as being his housing allowance. The church makes a 5% contribution to his SEP totaling $1,250. However, at Christmas, the church decides to give Pastor Bob a $2,000 Christmas bonus to show their appreciation for his service. Two things will most likely now need to happen: A) because the $2,000 is considered salary, the church will likely need to make an extra $100 contribution to Pastor Bob’s SEP (5% x $2,000 = $100); and B) the church will likely need to show a total salary of $27,000 on Pastor Bob’s W2 at the end of the year. It means that churches have a responsibility to rightly handle these kinds of gifts, both in respect to your donors and to your pastors/employees. Do not engage in well-intentioned but, nonetheless, unethical practices. However, I would encourage you to make it a regular feature of your church’s care for your pastors to give them these kinds of gifts. It shows the pastor and his family that the church cares for them in a very practical way. Not all gifts have to be cash-based (though, if it is a gift that has a known, tangible value, the value will very likely still need to be reported as salary.) Again, I have found that what pastors want most is to be remembered, thought of, and appreciated. I’ll never forget my five-year anniversary at our church. As the day arrived, I didn’t expect or hope for any kind of monetary or non-monetary gift. All I wanted was a hug and a “thank you.” Not because I felt that I deserved to be thanked . . . but just because I wanted to know that our people remembered me. So, let me encourage you to remember your pastors – love them, show them you care, remind them often of what a blessing they are to you. You will never know how much that truly means. Best of the Web: Should Christians Save Money For the Future? I recently read a fantastic article by Thomas Overmiller on a question that does not only affect pastors, but all believers. Here is the full text of the article. Click here to read the original post. Should Christians Save Money For The Future? I have considered low-risk, long-term investing and saving plans several times in the past, but have not taken steps to arrange anything. One reason for this is the many predictions of economic collapse. Naturally, these predictions trouble me. Usually, conversations I hear about this subject reference end-times predictions, which further discourages me from any long-term financial planning. I know there are important things to keep in mind concerning these subjects, and I would appreciate your input. This question reminds me of something I have encountered in life, as David is also encountering. Many well-meaning Christians firmly believe that saving or investing money to meet future needs is a failure to believe God. But the opposite is true. The Bible clearly teaches the appropriateness, even the expectation, of a Christian saving and investing money to meet future needs. To do this is actually a step of obedience and faith in God. To be sure, not every Christian has equal ability to do this to the same degree. Not every Christian is able to do this at all. But, every Christian should know what the Bible teaches and, if at all possible, take steps of faith today to set aside resources for tomorrow. God supplies some of your present resources to meet your future needs. This is how God provides. Responsible saving and investing is a biblical, responsible step of faith in God. So in reply to David’s question, I provide a list of biblical principles for you to consider in your Bible study and personal finances. 1. The Bible warns against hoarding. Hoarding is accumulating excessive material resources without a defined, responsible purpose. Jesus condemns the wealthy farmer who hoarded resources without a defined and appropriate goal in mind. The goal of any accumulation plan should never be wealth in general, or to become as wealthy as possible (Luke 12:16-21). 2. The Bible encourages saving. Saving is accumulating appropriate material resources for a defined, responsible purpose. A wise person does this (Prov. 6:6-8, 21:20). As you work and God provides you with income, He expects you to pay your taxes, give to His work and meet your present needs. But there is more. He expects you to set some of this aside to prepare for upcoming needs, when income will not be adequate or available. It is biblical and wise to set aside resources today for things tomorrow, such as: an automobile, a university education, the down payment (or full payment) on a house and old age (that time in life when you cannot work as you do now). 3. The Bible warns against gambling or ‘get rich quick’ schemes. The Bible does not expressly forbid gambling, but it provides a clear warning against quick income. The responsible way to accumulate resources is to set aside resources in manageable, steady deposits over time (Prov. 13:11). 4. The Bible recognizes the element of risk inherent in responsible long-term savings and investment, and does not forbid it. Jesus uses standard financial investments as a key illustration of spiritual truth (Luke 19:11-26). He does this effectively, because the example of financial investment is a good example. By doing so, He underscores the wisdom of putting money to work in the economic market. Whether you put your money to work in a simple savings account or an aggressive stock market portfolio, you are putting your money to work. Jesus strongly rebukes the person who stores financial resources in a no-risk, no-return scenario. When you put your money to work in the economic market, there is wisdom in consulting or partnering with a trustworthy, reputable Christian investor, licensed and able to provide good advice (Prov. 15:22). 5. The Bible forbids trusting in accumulated wealth. 6. The Bible forbids worrying about future financial provision. One reason [for not implementing a savings and investment plan is the] many predictions of economic collapse. Naturally, these predictions trouble me. Usually, conversations I hear about this subject reference end-times predictions, which further discourages me from any long-term financial planning. This noise – these popular crisis predictions and end-times forecasts – should not dissuade Christians from implementing responsible, faith-based, biblical savings and investment strategies, targeting reasonable upcoming needs and stages in life. We should take appropriate action with our finances, and leave the future in God’s hands. Rather than choosing not to save and invest, I should choose to save and invest in spite of these winds of doubt and worry. If something bad does happen, and my investments disappear, then I’ve lost nothing. I will continue to trust God, and He will meet my needs. Furthermore, my conscience will be clear because I know that I did what He expected. I saved and invested, and trusted in Him. As God provides for you in the present, think ahead to the time in your life when you will not be able to work as you do now. Or think ahead to important upcoming goals. What will your financial needs be? Be realistic. As a Christian, avoid opulent dreams of a lavish retirement. Estimate your needs in a reasonable, content manner. Then set aside some funds in manageable, regular amounts, preparing ahead for that time. Do this as a step of faith, and do not trust in your savings and investment plan. Trust in God as you do it. Will markets rise and fall? Yes. Will the economy collapse? Perhaps. But as a Christian, this should not prevent you from responsible savings and investment. What is the key? Just do it, and do it wisely. Don’t worry and obsess about financial trends. If you invest and the markets collapse, God will continue to meet your needs. Just do right. Save for the future in a responsible, biblical manner, and let God take care of you. Thomas Overmiller serves as pastor for Faith Baptist Church in Corona, NY and blogs at Shepherd Thoughts. This article first appeared at Shepherd Thoughts, used here with permission. It's been a little over two months since I launched Brokepastor.com. In some ways, it's gone exactly as I expected, and in other ways, it's not gone anything like what I expected. One of the unexpected aspects of this endeavor has been the number of pastors I've heard from who, without complaining, have shared with me how their respective churches either can not, do not, or will not meet their financial needs. Please note the three categories I just gave. I've heard from some pastors who shepherd churches that can not support them financially. Many of these churches are very small, and the pastors who serve them are often bi-vocational. I'm sure that, in many of these cases, the churches are doing all they can, and I have nothing but respect for both the pastors and the churches that fall into this category. Unfortunately, I've heard from other pastors who shepherd churches that do not support them financially. The issue isn't, necessarily, the church's ability to financially support their pastor; it's often simply that no one is thinking about it. It's as if the pastor's financial needs have been forgotten by the church, and there are many pastors out there who feel uncared for by their church in this area. Worst of all, I've heard from pastors who shepherd churches that will not support them financially. In at least one case, this has been a "power play" by certain leaders within the church (likely) to get the pastor to resign. In other cases, this is the reflection of an ungodly attitude that seems to believe that pastors should be poorly paid in order to keep them humble and faithful to God. While I have many thoughts on each of these categories that I will probably share in future posts, talking to all of these various pastors has made me even more grateful for the church I pastor. Just last night, our church members voted on next year's operating budget. Included in that budget were very generous raises for myself and our other full-time pastor. Don't get me wrong. It's not the money that I'm thankful for. It's the heart of our people who always seem to ask, "How much can we do for our pastors?". The kind people of our church are models of how a church should seek to treat it's pastoral staff, and I am sincerely grateful to God for them and for their obvious and practical love for me and my family. Have you ever heard the saying, “Pay yourself first”? The more reading I do in the realm of personal finance, the more I see it. However, as Christians, I think we need to tweak the saying just a bit. When it comes to the arena of general, personal finance, the slogan “Pay Yourself First” is a helpful guide for thinking about what to do with your money. As a believer, I would just move it one step over to second place as I believe, wholeheartedly, that the first “payment” we make out of our income should be to the Lord. I hate to say it, but I’ve known pastors who don’t give. That’s not an exaggeration for the sake of illustration. That’s the honest truth. And while there may be reasons for that, I just think that pastors need to model, to whatever extent they can in their given circumstances, what it looks like to be generous with the income God gives them. They need to learn to “pay” God first. However, this isn’t a book about giving, and now that I have that out of the way, you should now understand the reason I titled this chapter what I did. I believe that the Christian version of “Pay Yourself First” is “Pay Yourself Second.” What this means is that, after you give to God, the very next thing you should do with your money is to use it to prepare for your own financial future. In his book, Rich Dad Poor Dad, Robert Kiyosaki does an excellent job of showing how the rich make it their mission in life to use their income to build wealth before ever paying out any expenses. In other words, when money comes into your bank account, the first thing you should do with it after giving to the Lord is to provide for yourself financially. For the average pastor, this will likely mean three things. First, it will mean building an adequate emergency savings fund. This money will come out of the salary portion of your income. Every month, before you pay any bills, you should set aside money to cover emergency expenses. A good rule-of-thumb is that you should have between three and six months’ worth of living expenses in your emergency savings. It may take you a while to get there, but if you keep saving, you will arrive at that goal before you know it. Second, you should open and begin funding either a traditional or Roth IRA out of the salary portion of your income. Again, this doesn’t have to be a super-large amount each month. It just needs to be something. By the way, this is regardless of whether or not your church provides you with a retirement plan. No matter what, you need to be saving for a time when you will no longer be able to work, and IRAs are probably one of the best ways to do this for most pastors. Third, out of your housing allowance, you should make an extra principal payment on your mortgage. You say, “But I need to use my housing allowance for repairs on my home.” Ok. I get that because I had to do the same. Sometimes, the most I could pay ahead on our mortgage in a given month was $25, but I tried to pay something . . . and you should too. Once you have built an adequate emergency savings, you should continue to pay yourself second by diverting whatever money you were putting into savings towards your retirement. Along the way, as your income increases, you should make it a requirement that a certain portion of each pay increase is automatically set apart towards these goals. For far too many people - pastors included – an increase in salary automatically means an increase in expenses (i.e. they begin spending whatever extra they get). My plea to you is that you not be like everyone else in this area. If you receive an extra $1,000/year in salary, give to the Lord out of your increase as you are able, and then commit some amount towards these goals. If you do this each time you receive additional income, you’ll never even feel it in your monthly budget, but you will begin to see the benefits of this approach in your long-term planning. Stacy Potts is a pastor, author and consultant specializing in pastoral compensation and personal finance issues. He is the author of multiple personal finance books for pastors including How to Not Be a Broke Pastor and The Pastor's Guide to Wise Investing. He lives in Virginia Beach, VA, with his wife, Jamie, and their two children, Nathaniel and Hannah. Visit his website at www.brokepastor.com. Video - Are You a Broke Pastor? Are you struggling to understand the unique and challenging world of pastoral compensation? Are you maximizing the benefits that could be yours by simply being "wise as a serpent and innocent as a dove" when it comes to how you structure your pastoral pay? As a pastor, I get it. Not only can our compensation be confusing, but there are also so many different components that need to be balanced . . . it can be hard to put all the pieces together. 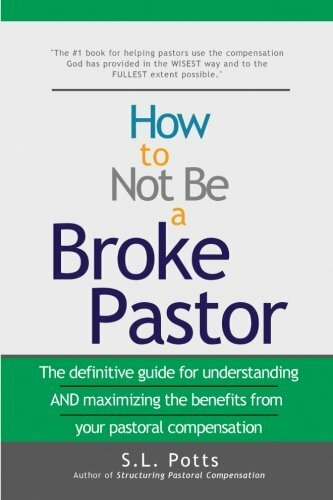 How to Not Be a Broke Pastor is written for pastors/ministers and is designed to make the complexities of clergy pay simple and easy to understand, and also to give you ideas as to how you can use your income to the greatest extent possible. We may not have entered the ministry to get rich, but that doesn't mean we should be broke. Let me help you understand AND maximize the benefits from your compensation today. Best of the Web: What if God Takes it All Away? This is a fantastic article by Sarah Walton that reminds us where our true financial security lies. I highly recommend it! Video - How much of a pastor's income can he designate as housing allowance? To all of the many pastors and churches out there who are faithfully serving Jesus, I wanted to let you know how thankful I am to God for you. Remember, you may never be known or recognized in this life, but the One who knows all things sees your labor on his behalf and will reward you accordingly when you stand in his presence. Remain faithful to the end, and give thanks for his goodness to you each and every day. From our family to yours . . . Happy Thanksgiving! Video - Can a church pay for a pastor's Obamacare health insurance premiums? While fairly standard in the secular workplace, disability insurance coverage does not seem to be as common amongst pastors and churches. Yet, the possibility of a pastor becoming disabled is no less than any other worker in any other profession, and churches should be ready to care for any pastor who becomes disabled - either directly or through the purchase of disability coverage. Notice the two options I just gave for caring for a disabled pastor (I’m assuming that a church not providing care for a disabled pastor isn’t one of their options. How unloving, uncaring, and un-Christlike would that be?). One option is for the church to care for a disabled pastor directly – meaning, the church is willing and able to keep that pastor on its payroll (at some level or another) indefinitely, regardless of work performed or services rendered. While this may save the church money on annual premium payments now, it places all of the long-term risk on the church – a commitment that may or may not be feasible in the present or future. The second option - and the one I would highly recommend - for caring for a disabled pastor is through the purchase of disability insurance coverage. Yes, the church will incur an expense related to the annual premiums, but this is generally minimal – especially when you compare it to the idea of keeping a pastor on your payroll indefinitely should they become disabled. This way, the church transfers the long-term risk to the insurance provider, and everyone can have peace-of-mind knowing that the pastor will be cared for should the unthinkable happen. Does your church offer disability insurance coverage to your pastor? I believe that every church, and by extension, every pastor, should establish a relationship with an attorney, an accountant, a tax professional, and a financial planner. Now, as I say this, I do not necessarily mean that every church needs to hire these four types of individuals. It just means that you need them. In our church, we have had various relationships with all four of these professions on either a paid or volunteer basis over the years. Perhaps you have individuals within your church who work in these fields. Have you ever considered asking them for help? I have found that most people within the church, if asked, are more than willing to lend their own professional help whenever they can. If you have them in your church, you should ask them. What’s the worst that can happen . . . they might say “No”? But if you don’t have these individuals in your church, you will need to hire them, as needed, either for consultation or for services rendered. Do not look at this as being an expense, but as an investment in the church! I can say that we have never once paid a single dollar to our attorney or our accountant that wasn’t worth ten more in money or trouble saved. They have helped us immeasurably over the years, and we are thankful for the relationships we’ve established. So, if you don’t have these four professionals in your church, get some recommendations from other churches in your area (or, better yet, from business people you respect), and set up some meetings. One way or the other, you will eventually NEED their counsel and help. Video - How does your housing allowance affect Obamacare subsidies?